Vladimir Zhirinovsky, one of Russia’s zaniest and most profane politicians, declared on the radio yesterday that Alexey Navalny should rot behind bars rather than run for Moscow Mayor. “Let him die there, and be buried in the prison cemetery,” Zhirinovsky fumed [ru] on Ekho Moskvy, Monday, August 12, 2013. Earlier that day, the Attorney General announced [ru] that it had partly corroborated a complaint by Zhirinovsky, who warned earlier in the month that Navalny’s online fundraising methods violate Russian campaign finance laws. According to the government’s official statement, prosecutors have sent their evidence to the Ministry of the Interior for a decision about possible criminal charges. 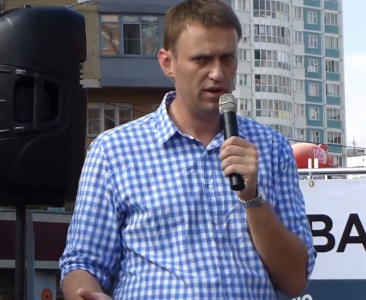 Alexey Navalny addresses Moscow voters, 7 August 2013, screenshot from YouTube. The Attorney General says it has identified 347 Yandex.Money transfers with foreign IP addresses deposited in electronic wallets belonging to Navalny and three of his confidants. According to prosecutors, there have been payments from both individuals and legal entities. The government claims that the non-Russian origin of those 347 transfers means the money came from foreigners, who cannot legally contribute funds to Russian political candidates. Navalny’s supporters have responded to this latest move by the authorities with a mix of confidence, disbelief, and condemnation. In a blog post [ru] on Ekho Moskvy, academic Igor Chubais interpreted the threat of fundraising violation charges as proof that Vladimir Churov and the Election Commission are no longer able to guarantee managed results for Moscow’s upcoming mayoral contest. 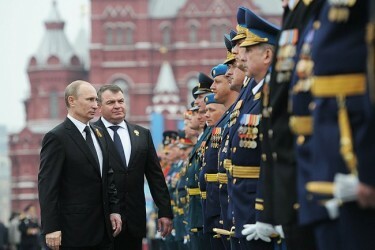 Putin inspects the troops on Victory Day, 9 May 2012, Moscow. Kremlin press service, public domain. Andrei Malgin argued [ru] that the government is insuring itself against a possible second round of voting in the Moscow mayor’s race, which Navalny could force, if he can remain a candidate after reducing Sergey Sobyanin’s support to under 50% in the first round. Journalist Arkady Babchenko accused [ru] the Attorney General of Soviet-style tactics, joking that the government has lost touch with the “speed of life.” Oppositionist Boris Nemtsov likened [ru] the “foreign donations” scandal to how the authorities tarred his 2009 mayoral run in Sochi. In his own response, published on LiveJournal and titled, “You Can’t Teach an Old Dog New Tricks,” Navalny says his rising poll numbers made inevitable a new Kremlin-orchestrated attack on his campaign. 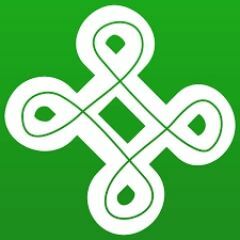 Brushing aside accusations that he’s accepted foreigners’ money, Navalny explains that over 1.2 million Russian citizens live outside the country, half a million citizens are now traveling abroad during the summer, and another few hundred thousand citizens living in Russia access the Internet via IP addresses based outside Russia. “Our campaign is the most financially transparent,” he declares triumphantly. In addition to traditional offline bank transfers, Navalny has innovated two different ways to contribute money to his mayoral campaign using the Internet. 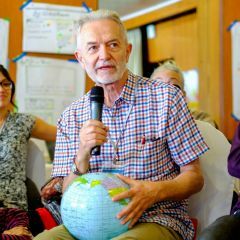 The first method is relatively straightforward: his campaign has a Yandex.Money account, to which individuals can donate small sums directly, transferring funds to his official campaign bank account. Because of Yandex.Money’s own regulations, these transfers cannot exceed 15 thousand rubles ($450), which is also the maximum payment anonymous Yandex.Money users can make. In other words, Yandex.Money contributors to Navalny’s campaign do not need to identify [ru] themselves as Russian citizens to Yandex, before sending Navalny their money. Navalny’s campaign corrects for this anonymity by requiring [ru] donators to provide identifying information in the memo section of every Yandex.Money transfer. If a particular contribution lacks all the legally required contributor data (as apparently did [ru] celebrity Putin-supporter Tina Kandelaki’s), the campaign refuses the donation. 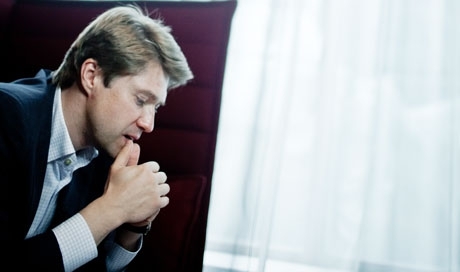 Vladimir Ashurkov, Executive Director of Navalny’s “Fund for Fighting Corruption, 25 April 2012. Navalny and members of his campaign staff have also promoted another rather dubious way to help his mayoral run. It’s called “Credit Trust,” and it works indirectly. Vladimir Ashurkov, Executive Director of Navalny’s “Fund for Fighting Corruption,” unveiled the fundraising scheme in a Facebook post [ru] on July 19, 2013, and Leonid Volkov, Navalny’s campaign manager, further elaborated in a LiveJournal post [ru] that same day. The “Credit Trust” formula calls on Yandex.Money users to reimburse designated members of Navalny’s entourage, who pledge 1 million rubles ($30 thousand) to the campaign. Ashurkov contributed the first million, and another three campaign figures (Alexey Beskorovainy, Konstantin Yankauskas, and Nikolai Liaskin) have followed [ru] with million-ruble donations of their own. From a formal legal perspective [ru], such fundraising amounts simply to four individuals contributing four million rubles to Navalny’s campaign. 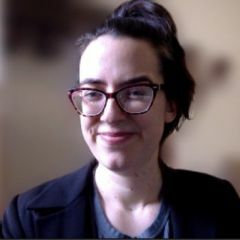 For many, however, this tactic is a blatant exploitation of a loophole in Russia’s campaign finance regulations. What Are the Pitfalls of Such Fundraising? Whereas Navalny’s campaign screens Yandex.Money contributions for identifying data, Ashurkov and his posse of million-ruble contributors perform no such verifications. Anyone with a Yandex.Money account—regardless of citizenship—is free to send them cash. As it turns out, Yandex.Money serves individuals with bank accounts in eight different countries: Russia, Ukraine, Belarus, Kazakhstan, Azerbaijan, Estonia, Israel, and Turkey. Ashurkov defends this donation scheme as a means to attract money from supporters deterred by, what he euphemistically calls, the “inconvenience” of identifying themselves. Despite promoting “Credit Trust” themselves, Ashurkov and Volkov insist that Navalny’s campaign in no way endorses the project (which would be illegal). Given the roles these men play and how the plan works, however, it’s difficult to view this denial as anything but an attempt to skirt the law. In fact, Navalny himself advertised [ru] “Credit Trust” in a July 24 LiveJournal post [ru], encouraging people to send money to Nikolai Liaskin in connection with the program. If this doesn't count as an endorsement, what would? More curious than such risky fundraising methods is the Attorney General’s decision to implicate Navalny’s campaign in Western funding. (Though prosecutors claim 46 different foreign IP addresses, they saw fit to single out Britain and the United States—despite Yandex.Money’s limitation to the eight countries listed above.) Why resort to such a Cold-War-era, technologically illiterate attack, when “Credit Trust” is suspicious enough on its own to merit an investigation of Navalny’s campaign finances? If we take seriously the questions about “Credit Trust,” the state’s reaction is clumsy indeed. Perhaps Navalny’s supporters are right when they accuse the Russian government of being stuck in the Soviet ways. Today, maybe, they should be counting their lucky stars for such incompetence.